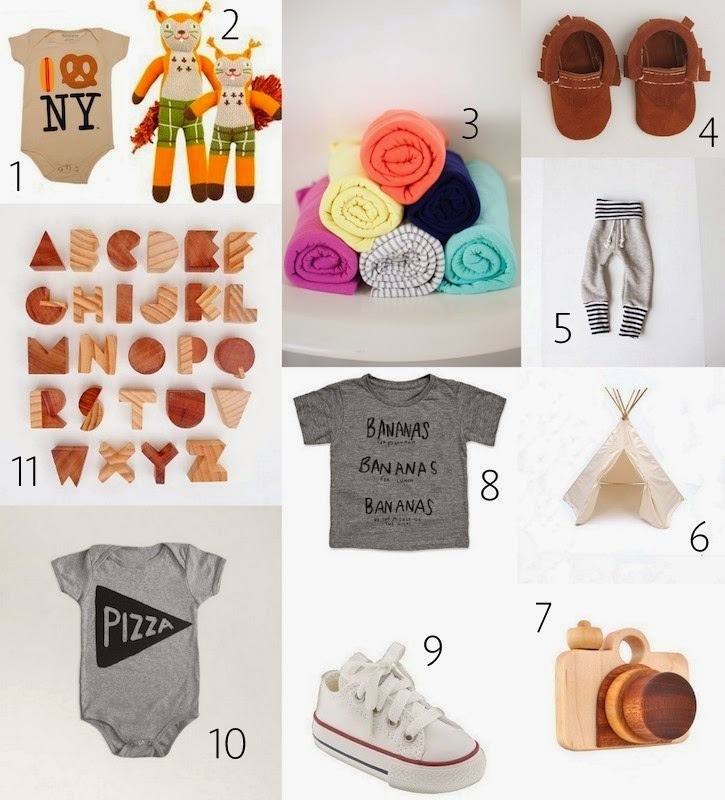 // You get to peruse baby stuff for the first time and dream up all the things you'd buy for him if money grew on trees. And play dress up with a real baby, not the baby doll you had when you were little whom you affectionately named Lasagna. // You get to hug, cuddle, love on and basically just stare at him until you're blue in the face. And then you get to leave. And go home to quietness. And sleep if you want to...which I know is probably way TOO honest, but it's true. // You finally get the chance to see some of the genes you share passed on to the next generation, which is weird. For example, when I was born, everyone said I looked EXACTLY like my aunt...so here's to hoping history repeats itself, amiright? // Boy stuff. And things that aren't pink.Unless he likes pink,of course...then pink everything, I say!